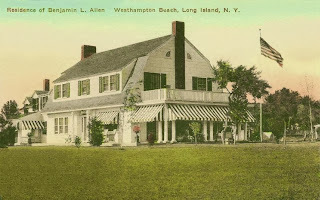 Notamiset', the Benjamin L. Allen residence originally built for Hiram Wines in the latter half of the 19th century in Westhampton Beach. Wines would go on to sell his farm to Henry Burton who eventually sold to Allen. 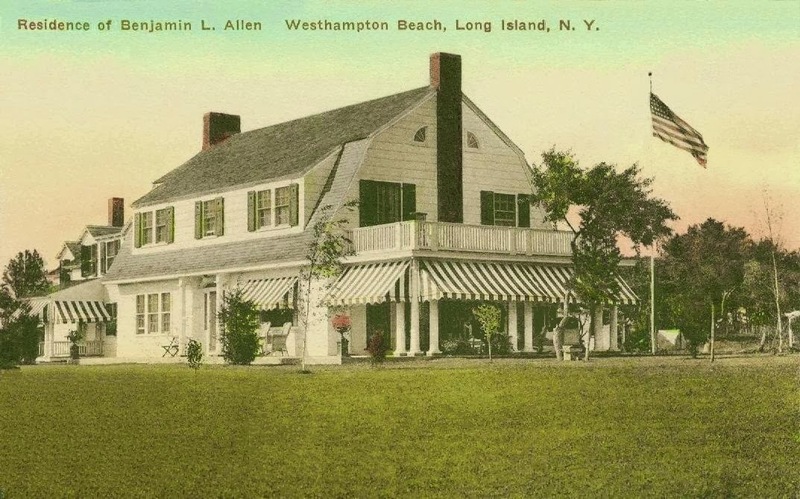 Allen had the house moved to the present location and undertook a series of alterations to create his summer residence. He also planted a stand of Linden trees along the lane and the street was eventually renamed Linden Lane (it had been Wines Road). Click HERE to see 'Notamiset' on google earth and HERE on bing.